Friday night was a very unusual night at Largo. Not that any evening in Los Angeles’ best venue is ever uneventful, but Friday felt strange from the moment I took my seat. 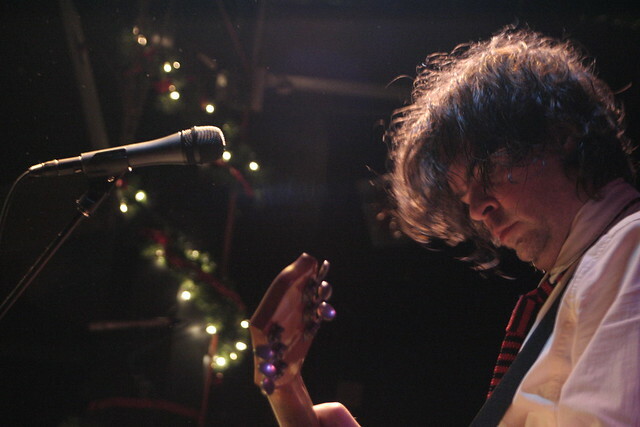 Jon Brion’s usual set-up–a drum set, bass, guitar rack and his trusty piano on stage right–was transformed, the rhythm section replaced by a second, larger piano. His looping pedals were notably absent. He took the stage in a pinstriped three-piece suit and performed the only completely acoustic set I’ve ever seen him play, running through a handful of unreleased (LP2?) tracks such as “Please Stay Away From Me” and “The Love Of My Life So Far” (played gorgeously on a nylon-string guitar) as well as several that I’d never heard. He played one song — “It Should’ve Been With You,” perhaps? — that he said no one ever had, though its high piano melody seemed familiar. All that would’ve been treat enough, but he was joined mid-set by Fiona Apple (!) for the duo’s usual jazz standards and an exuberant, if imprecise, version of When the Pawn... classic “A Mistake.” Largo is a place where it’s O.K. to make mistakes; it’s almost better that way. It reminds you that the geniuses you see on stage are still human, an epiphany I had for the first time ever during a Jon Brion set when he casually told Apple he didn’t know the harmonies on a particular song. I’ve probably seen him a dozen times since 2004 — the thought of him missing a page of his musical encyclopedia seemed about as likely as faster-than-light particles. It appears we live in the future. It happened again during one of his several encores, when he worked his way through what he could remember of “Song for Caden,” from the Synecdoche, New York soundtrack. “I haven’t played that since I recorded it,” he told the crowd apologetically. Then he turned in a transcendent Thelonius Monk version of Kiss’ “Rock and Roll All Night.” Brion may be a mere mortal after all, but he’s still the best one we have.